Keep the joy in the holidays with our simple Holiday Party Packages! Make that corporate or family event stress-free. Take the stress out of planning your wedding... Our All-Inclusive Wedding Package includes a cash bar of beer, wine and premium spirits, room rental, set up and tear down of standard tables and chairs with black spandex linen on all tables. Located on the 7th floor, the outdoor pool terrace offers great views of the city. 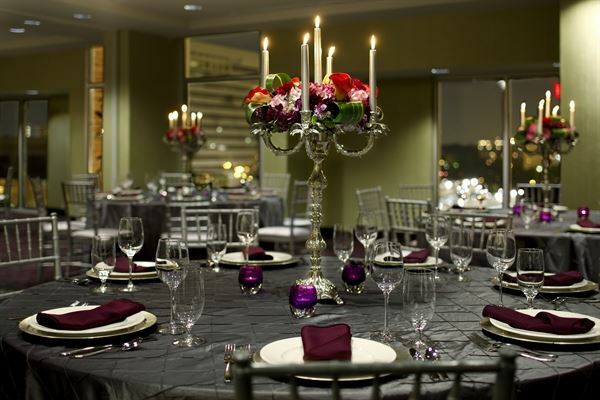 The Royale Room is located on the 7th floor of the hotel near the rooftop pool terrace. The space is approx. 2,200 sq. ft. and has a full wall of windows offering natural lighting and great views of the city.